How high do you think the Nasdaq will go? Forget about the Nasdaq finally getting back to 5,000. Traders are now speculating about the next big milestones on the horizon. Strong earnings from Google (GOOGL), Facebook (FB), Microsoft (MSFT) and Amazon (AMZN) helped push the Nasdaq up last week. Apple (AAPL) could keep the party going when it reports results after the closing bell Monday. So what's next? 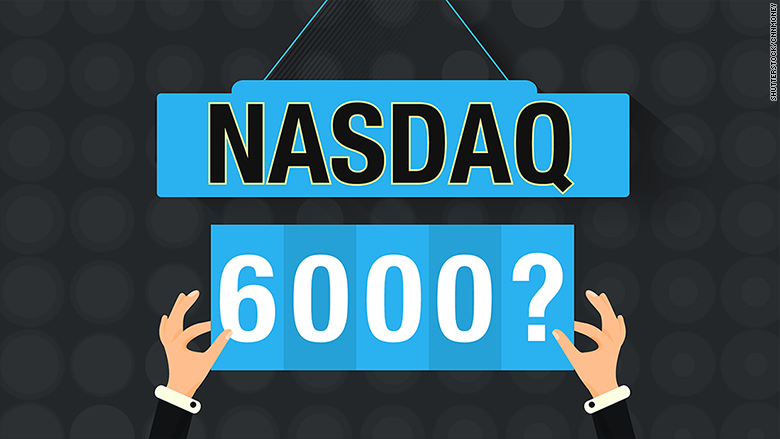 Could the Nasdaq soon hit 5,500? 6,000? Even higher? Some of my followers on Twitter and StockTwits are pretty excited about the Nasdaq's prospects. "Should the market continue with the upward trend, the Nasdaq might be 10% higher from current levels by year end," said @ramonzapata74. I'm not sure if he intended that tweet to rhyme. But I approve. And based on his 10% upside prediction, that would put the Nasdaq just above 5,600. Others were even more bullish. "The Nasdaq princess will probably run into late 2016. 6000 for the win," wrote Stumptowners on StockTwits. Another follower thinks it won't take that long to get to 6,000. "6k by year end after a pull back," tweeted @elLuckyLuciano. But is the Nasdaq really destined to keep climbing? Aren't there any concerns about this being another bubble like 15 years ago? The good news is that most big tech stocks -- and other heavyweights in the Nasdaq like Starbucks (SBUX), Comcast (CMCSA)and biotechs Gilead Sciences and Amgen -- are profitable and growing. The rally back to 5,000 has been more about real fundamentals as opposed to hype and potential. Still, many Nasdaq stocks are extremely expensive. Starbucks trades at more than 30 times 2015 earnings estimates. Facebook is valued at more than 40 times profit forecasts for this year. This may not be as frothy as in 2000. The Nasdaq as a whole is trading around 28 times earnings for the past 12 months. Fifteen years ago, the Nasdaq's price-to-earnings ratio was in the triple digits. But some fear that startup companies which may soon wind up trading on the Nasdaq (or NYSE) could already be overvalued in the private market. "It seems as if the real bubble is in private equity. Big money funding the Ubers of the world. That has to burst, right?" asked @GreyStephens. That's a great point. Uber, Airbnb, Snapchat and SpaceX are just a few of the so-called unicorns venture capitalists have been falling over themselves to pump money into at valuations of more than $10 billion. It's possible that a new crop of bubbilcious IPOs could be what finally puts an end to the Nasdaq (and broader market) rally. But we don't appear to be there yet. In fact, the Nasdaq actually still has a fairly long way to go before it tops 2000's record if you look at inflation. 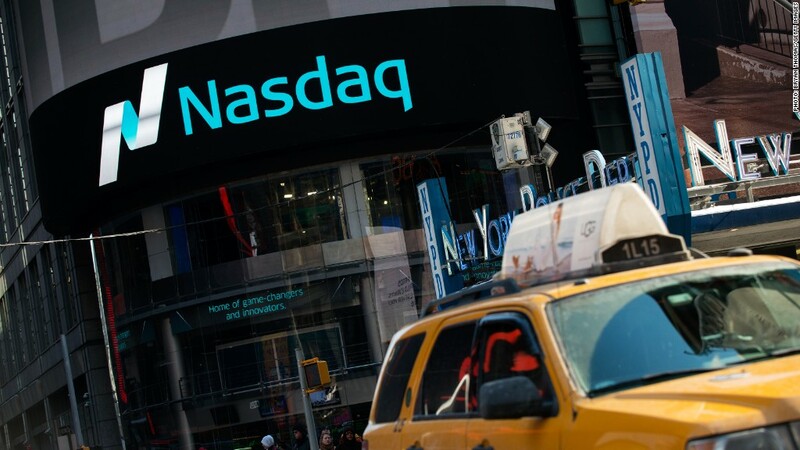 Research firm Bespoke Investment Group recently pointed out the Nasdaq needs to hit 7,000.95 to surpass the March 10, 2000 peak on an inflation-adjusted basis. That's about 37% higher than current levels.